Australia’s best-selling small SUV, the Mitsubishi ASX, will go into its tenth successive year on sale in 2020 with a new look and new technology. The evergreen Mitsubishi ASX, which launched in 2010, was the clear winner in last year’s small SUV sales race, ahead of newer rivals like Mazda’s CX-3, the Honda HR-V, Subaru’s XV and the Hyundai Kona. The keys to the popularity of this car are price and size. At the base, the ASX costs less than the majority of its competitors aside from the entry-level CX-3 and Ford’s largely unloved EcoSport, while its luggage space capacity bests every other car in the category by quite some margin, including Honda’s clever HR-V. The 2020 reboot – which will actually arrive late in 2019 - brings the ASX’s design language into line with stablemates like the Eclipse Cross and the Pajero Sport. A new clamshell-style bonnet tops a new front fascia and bonnet which (on this version at least) offers a quad-style driving lamp and indicator array paired with narrow LED headlights. Out back, LED taillights work with conventional turn indicators in the reconfigured tail lamps, while a new rear fascia and bumper design deletes a lot of chrome work and sharpens its visage. Inside, Mitsubishi says it’s improved the ASX’s multimedia system, adding a larger touchscreen and better smartphone integration with Apple CarPlay and Android Auto. The move to a larger screen has also meant a redesign for the centre console and dash array, though the basic layout carries over from the 2019 Mitsubishi ASX. READ MORE Why the heck does Australia love the Mitsubishi ASX so much? 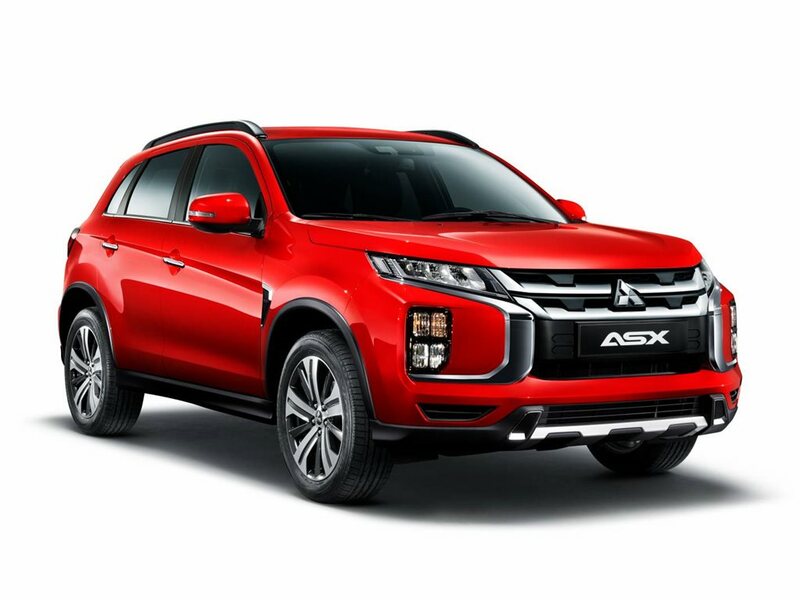 Mitsubishi says it’s also preparing an app for use with the ASX that will allow the owner to view information like fuel level, as well as speed and odometer info and warning lights. If your fuel level is low, the app can also find the nearest petrol station, and it’ll also keep tabs on your service intervals. Mitsubishi offers a similar app on the Outlander PHEV, which allows the owner to optimise battery charging and even pre-start the car’s climate control system. The ASX already offers driver aids like AEB and rear cross-traffic alert on all but its base-model variant, but we’d expect to see an upgrade of these systems for the 2020 ASX. There are no mechanical changes slated for the 2020 ASX, though, with the company carrying on with the ageing 110kW 2.0-litre four-cylinder petrol engine/front-wheel-drive combo. Unfortunately, the excellent 2.2-litre diesel/AWD version disappeared from the catalogue in September 2018. More definitive pricing and specifications will be available after the ASX is unveiled at the Geneva show In March.